In the hunt for inspo, the disco era is a treasure trove. 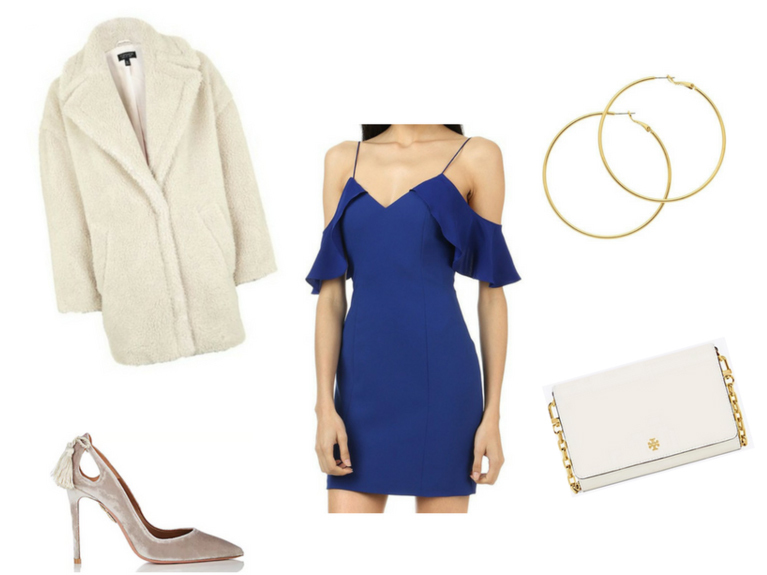 A cobalt mini dress is the perfect date night (or solo-mish) choice. Hoop earrings, a teddy coat, and some velvet shoes bring the 70s look together.